WASHINGTON, Sept 25 (Reuters) - U.S. House of Representatives Speaker John Boehner will leave Congress at the end of October after struggling with repeated rebellions by conservatives during a tumultuous five-year reign as the chamber's top Republican. Boehner (pronounced BAY-ner) told reporters McCarthy "would make an excellent speaker." "It's become clear to me this prolonged leadership turmoil would do irreparable harm to the institution," Boehner told a news conference. He fought back tears as he thanked his family but happily sang "Zip-A-Dee-Doo-Dah" to indicate he was far from broken up about the decision. 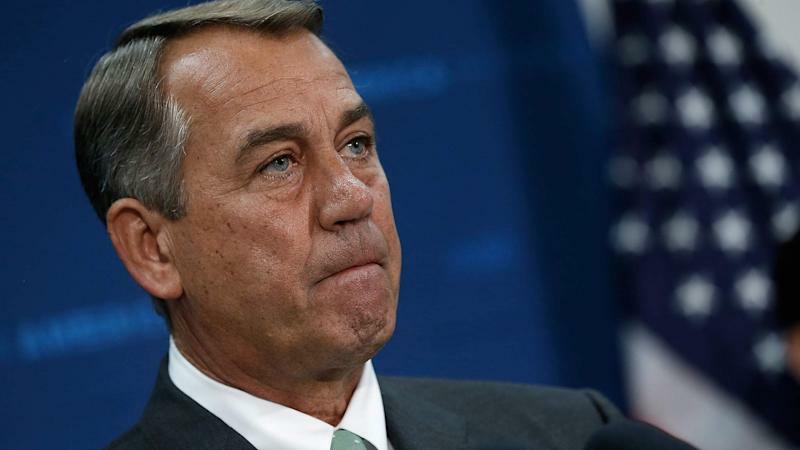 "It's the right time to do it, and frankly I'm entirely comfortable doing it," Boehner said. His move eased the threat of a federal government shutdown next week, Republicans said, freeing Boehner to forge ahead with a "clean" spending bill that funds the women's healthcare group Planned Parenthood without fear of reprisal from conservatives who object to the group's abortion services. "I'm not here to bash anyone," Rubio told the crowd. "But the time has come to turn the page." Despite their clashes, Boehner frequently had bowed to the House's conservative wing, standing by as conservatives forced a government shutdown in 2013 and abandoning comprehensive immigration reform in 2013 and 2014. Many Republican lawmakers predicted McCarthy would be the next speaker. The five-term lawmaker has built bridges to Tea Party conservatives and bucked Boehner by abandoning support for renewing the charter of the U.S. Export-Import Bank. Phil Orlando, chief equity market strategist at Federated Investors, said: "The near-term news is good in that it suggests that Boehner is going to get a clean bill through as his last act as speaker, but the question becomes what happens post-Halloween and who the new speaker is going to be."